Why You Should Care About Yoga. I hope you enjoy this article from our guest blogger, Chloe Costigan! It can help prevent injury. Regardless of what you do, when you move intelligently in your body you can prevent injury. It gives you the opportunity to assess your body: is the right side as stable as my left side? Is my decreased right trunk rotation impairing by ability to extend through my hip and use my glute? It’s a physical and mental act. It’s as simple and as complicated as this: if you are more mindful (you know that buzz word everyone is saying now) in the way you move, you can begin to see parallels across activities and different aspects of your life. Moving your body with intention allows you to move intelligently and with purpose. Oh and you may get that added benefit of getting out of your head going over your never ending to do list and upcoming plans etc. It’s comprehensive. It mixes flexibility/mobility and stability/strength. It utilizes your upper body and lower body. You use your body as the tool. You only need a mat and some comfortable clothes (and really the mat is optional and sometimes the clothing really isn’t so comfortable or practical and you promptly switch that). You can find so many ways to challenge your body with different types of yoga and poses. The take home is that there is a place for your yoga practice in your already busy life. It can and will take on many shapes. And in a world of so many expectations and “should’s”, this is willing to meet you where you’re at, regardless of your goal (or even the lack of goal). You can explore these benefits on a yoga retreat with myself and Carrie Morgan in Granada, Spain from June 10-17th, 2018. What will form the yoga portion of the retreat? You’ll have 2 yoga based classes per day. You’ll start with a theme based flow designed by Carrie Morgan, who is one of the most experienced yoga teachers in the Lehigh Valley. This theme will be focused on a specific muscle or body region: think hamstrings, hip flexors, spine, shoulders. Then, Carrie and I will help you to learn more about your own abilities in terms of flexibility and strength. I will use my experience in treating yogis and practicing regularly to help you to identify areas to work on. We’ll help you to understand what is supposed to be going on in a pose. I will help you understand areas for improvement of your flexibility and strength. I’ll tell you what to do about it with very specific corrective exercises. You’ll be able to discuss these areas with Carrie and myself. Well for one, you’ll wake up in beautiful Granada. You’ll practice yoga; you’ll move, you’ll learn. Then, you’ll explore. 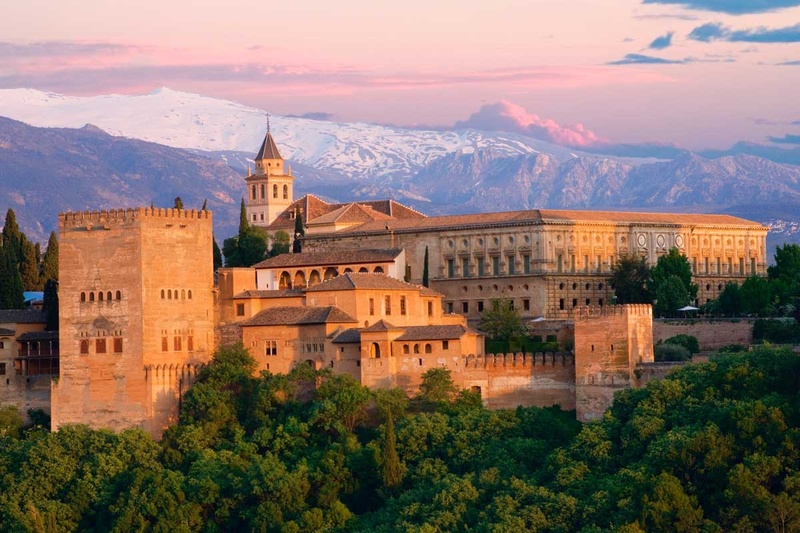 We planned 4 excursions for you that cover a variety of activity from visiting the Alhambra palace to flamenco dancing to city exploring to relaxing on a beach. You’ll have all 3 meals provided for you as well. They’re all locally sourced, seasonal meals that can accommodate to your specific dietary restrictions. You’ll be able to relax on the beautiful and scenic Lucia Yoga Retreat Center property and enjoy your air-conditioned room accommodations. You’ll find it’s the perfect mix of activity, exploration, relaxation, learning, and, oh yeah, yoga! For the experienced yogi: It’s the perfect way to take your practice to another level. You have a physical therapist who regularly treats yogis and one of the most experienced yoga teachers in the Lehigh Valley helping you to learn more about your practice and to move better. You can think of it as a yoga intensive mixed with a fabulous vacation. Oh and bring along your friend or spouse; you’ll love exploring with them. They’ll thank you. This is your opportunity to take advantage of all of the benefits of yoga that I previously detailed above. You’ll see how it can enhance all of your movement, and you’ll find the mix of flexibility/mobility and strength/stability work that suites you best right now. You’ll be able to figure out how this can enhance your typical exercise and activity routine. You’ll have the opportunity to do this while taking time out from your busy life to give this the time it deserves.